TASER International, Inc. (NASDAQ: TASR), a global provider of safety technologies that protect life, prevent conflict, and resolve disputes, is proud to announce it has begun shipping the new TASER CAM™ HD recorder for the high performance TASER® X2™ electronic control device (ECD) in February 2012. As the global leader in on-officer camera technology with more than 52,000 TASER CAM recorders at 2,700 law enforcement agencies worldwide, the TASER CAM HD recorder provides agencies with invaluable video evidence to protect officers from false complaints, provide officer and suspect accountability, and increase transparency within communities. Paired with any X2 it protects truth whenever a use of force incident occurs with an X2 ECD. The X2 is cost effective, simple to use, and features a second shot for instant miss recovery, dual LASERs for improved accuracy, enhanced power magazine, and a warning arc that helps prevent conflicts from escalating. Designed by the voice of the customer, the TASER CAM HD recorder provides improved audio and 720p HD color video in a smaller, more robust form factor compared with the original TASER CAM™ for the TASER® X26™ ECD. The TASER CAM HD recorder began shipping in February 2012. MSRP is $499.95 for the TASER CAM HD and $524.95 for the TASER CAM HD with Auto Shut-down (AS) feature which emits an audible alert three seconds into the X2's output cycle and shuts down automatically at the end of its five-second cycle. The devices are available with extended warranties. "As the global leader in on-officer camera technology with more than 52,000 TASER CAM recorders at 2,700 law enforcement agencies worldwide, the new TASER CAM HD recorder provides agencies with improved HD recordings as invaluable video evidence to protect officers from false complaints, provide officer and suspect accountability, and increase transparency within communities." "Our new technology provides color HD video versus black and white video, a two-fold increase in enhanced audio recording, and a more robust and weather resistant system in comparison to our TASER CAM for the TASER X26." "The TASER X2 and the TASER CAM HD recorder were the result of our most extensive voice of the customer process in the company's history. Thousands of officers participated in the design of the X2 and TASER CAM HD through online surveys, interviews, and focus groups. The results are breakthrough devices that integrate key enhanced features into simple, compact designs optimized for full time carry." "Our customer-driven development of the TASER CAM HD recorder is the culmination of almost two years of intense research and development and offers exponentially increased feature capabilities, improved audio and video qualities while providing law enforcement officers corroborating evidence to support their use of force reports." "Our customers and shareholders know the company has made major R&D investments over the past several years to deliver technology breakthroughs in innovation that protect life and protect truth -- including the TASER HD recorder." TASER International, Inc. (NASDAQ: TASR) is a global provider of safety technologies that protect life, prevent conflict, and resolve disputes. More than 16,575 public safety agencies in 107 countries rely on TASER® electronic control devices (ECDs) and AXON on-officer camera systems to help protect and serve. Today, the use of TASER ECDs has saved more than 85,000 lives from potential death or serious injury while TASER innovations benefit individuals and families too, providing personal protection and accountability while maintaining regard for life. Since 1994, more than 241,000 individuals have relied on TASER technology as a means for effective personal safety. 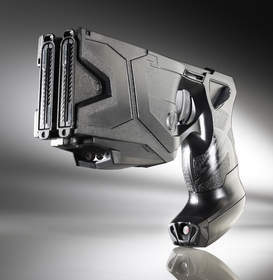 Learn more about TASER International and its solutions at www.TASER.com and www.EVIDENCE.com or by calling (800) 978-2737. Be a part of the TASER community by joining us on Facebook, LinkedIn, Twitter, and YouTube. TASER® is a registered trademark of TASER International, Inc., registered in the U.S. All rights reserved. TASER logo, AXON, TASER CAM, X26, X2, X3, and EVIDENCE.com are trademarks of TASER International, Inc.
To review the TASER International Safe Harbor Statement, please visit our Investor Relations Safe Harbor Statement at www.TASER.com/safeharbor. For investor relations information please contact Katie Pyra by phone at 480-515-6330 or via email at IR@TASER.com, or Dan Behrendt, Chief Financial Officer of TASER International, Inc., 480-905-2002. The TASER CAM(TM) HD recorder accessory installed on a black TASER(R) X2(TM) ECD. The use of TASER ECDs have saved more than 85,000 lives from potential death or serious injury. Photo courtesy of TASER International, Scottsdale, AZ. 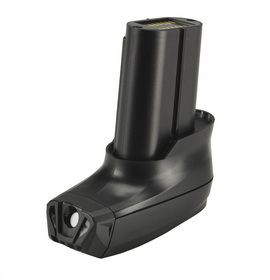 The TASER CAM(TM) HD recorder accessory. The use of TASER ECDs have saved more than 85,000 lives from potential death or serious injury. Photo courtesy of TASER International, Scottsdale, AZ. TASER CAM(TM) HD recorder improvements for TASER X2 ECDs compared to the original TASER CAM for TASER X26 ECDs. Video courtesy of TASER International, Scottsdale, AZ.